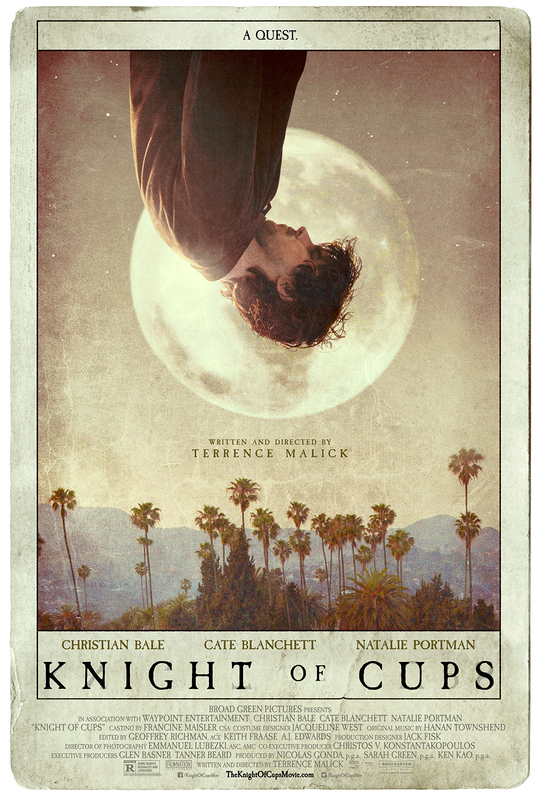 Written and directed by Terrence Malick, this experimental drama follows a depressed screenwriter, played by Christian Bale, on an odyssey through Los Angeles and Las Vegas. As he searches for love and self-realization, he crosses paths with eight colorful figures, all identified by tarot cards. The film stars Cate Blanchett and Natalie Portman alongside Bale, and is narrated by Ben Kingsley. Terrence Malick received a Golden Berlin Bear nomination at the Berlin International Film Festival. The one-sheet received a nomination for Best Independent Poster from the 2016 Golden Trailer Awards.